SuncrestReef had the most liked content! Have you sent a sample of your RO/DI water for ICP analysis? I have two leptos under 210 PAR and they seem to be doing well. All you need is a $16 auxiliary power adapter: https://www.bulkreefsupply.com/12v-power-supply-neptune-systems.html You plug this adapter into a regular wall power outlet and attach it to the Apex head unit. Then you plug your EnergyBar into the battery backup. You can then program each outlet how to behave when the auxiliary power adapter loses power. My UV is in line with my return pipe. I only use the valves to turn off flow to the UV for maintenance and open a bypass valve so the return pump still supplies the tank. I have a flow meter on the return pipe past the UV so it always reports the flow whether going through UV or bypassed. So basically my UV flow rate is controlled by my return pump speed. Absolutely. 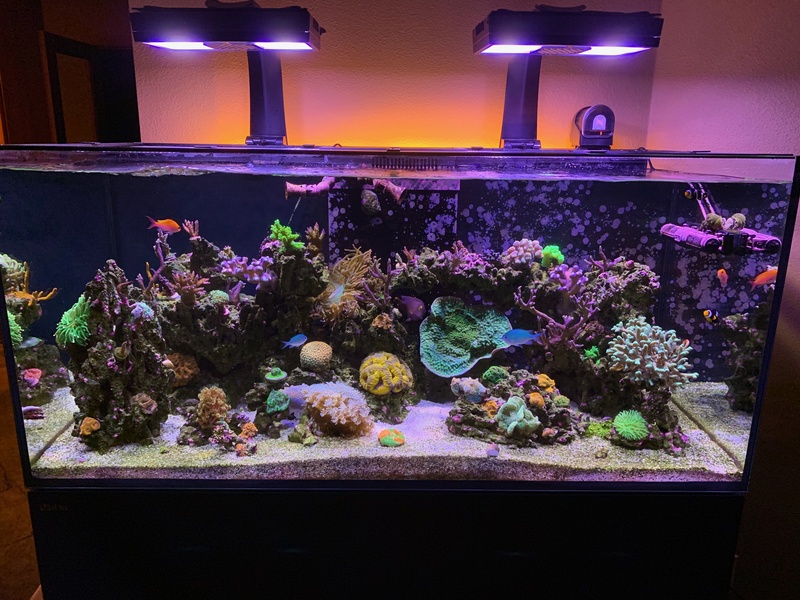 I target feed my corals twice per week, and I doubt they're getting much food in between.